I have been making Embroidery Hoop Art for over 2 years now. It has bought me a lot of pleasure and ended up becoming part of my rehab during recovery. The act of sewing helped with my focus and was a welcome distraction from illness. It has been great to see the popularity of this craft grow. 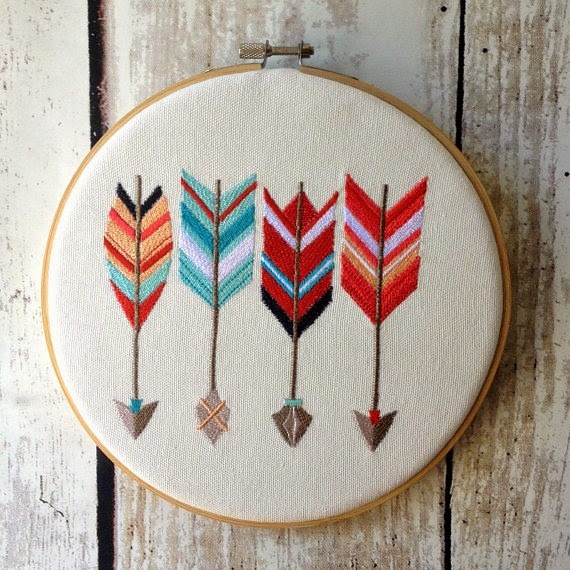 I first became aware of hoop art a few years ago from blogs and online Market Places such as Etsy. It seemed more apparent over in America but is now also flourishing here in the UK. 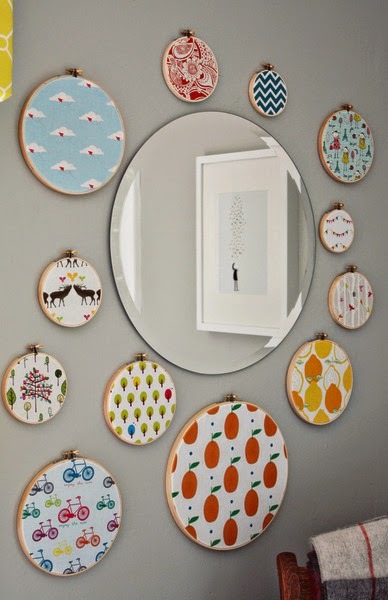 Hoop Art can be a fun and quirky way of adding some personality to your walls, just hang them from a small nail or prop them up on shelf. 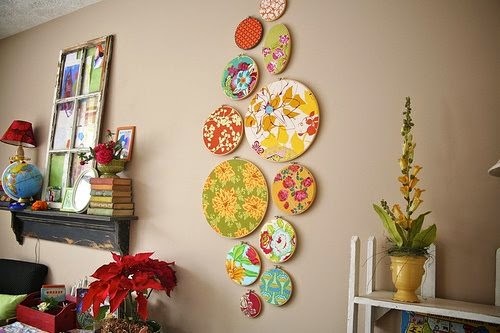 I thought I would share some examples of the lovelies I have come across and ways in which you can display hoops in style! 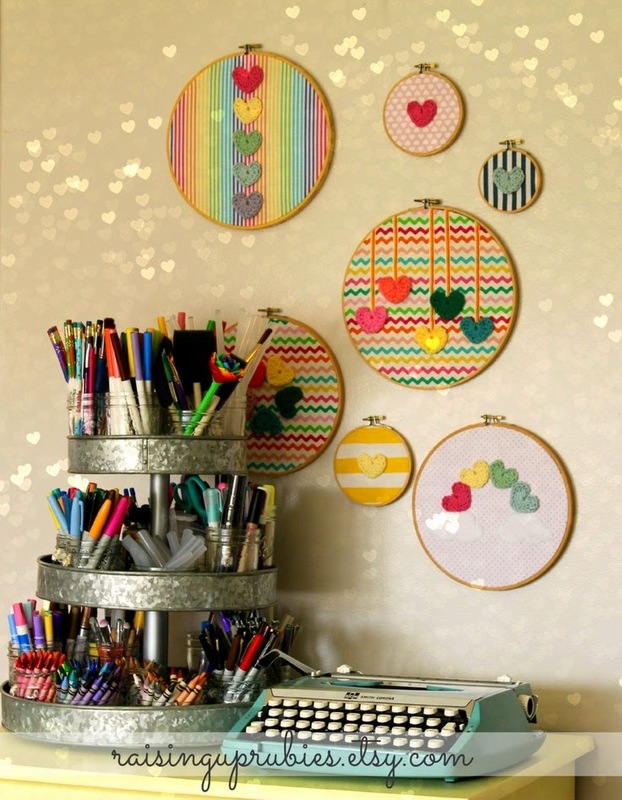 Above a selection of hoops by Rising Up Rubies a fantastic way to add some colour and inspiration to any workspace. 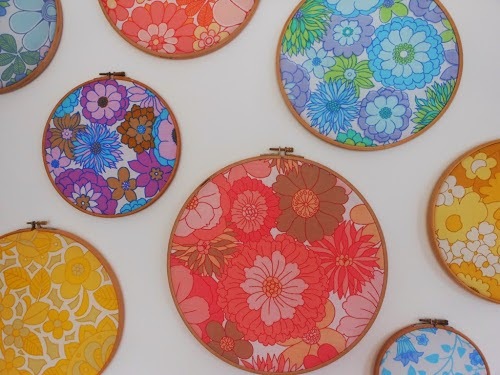 I love Vintage Sheet Addict's display of vintage fabric framed in hoops. The colours are beautiful and they work really well together as a collection. 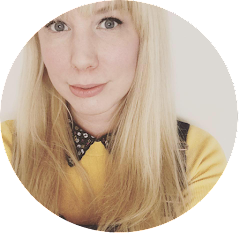 Check out the designs of Cabo Pickles lots of enchanted loveliness. 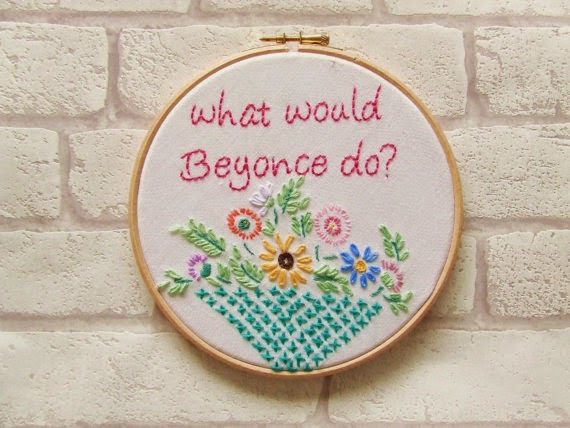 If your after a bit of sassiness in your life then head over to Thimble and Bobbin , 'what would Beyoncé do' embroidered onto vintage floral fabric, inspired by pop culture. I'm totally crushing over this display, the different sizes, shapes and patterned fabric just pop at you and create a unique focal point. And a lovely idea for a kids room taken from Project Nursery using fun bold fabrics. I hope you have found some inspiration for your home or workspace, so why not grab yourself a bit of uniqueness framed in a hoop! Fantastic picks! I love the arrow one and the Beyonce one! I've been wanting to try embroidery for a while and after seeing these I may give it a shot.